Amazon has got this Lenox Opal Innocence 60" x 102" tablecloth in white for $25.49 with free Prime/SuperSaver shipping. This classic, elegant tablecloth got 4.0 out of 5 stars over 150 customer reviews. 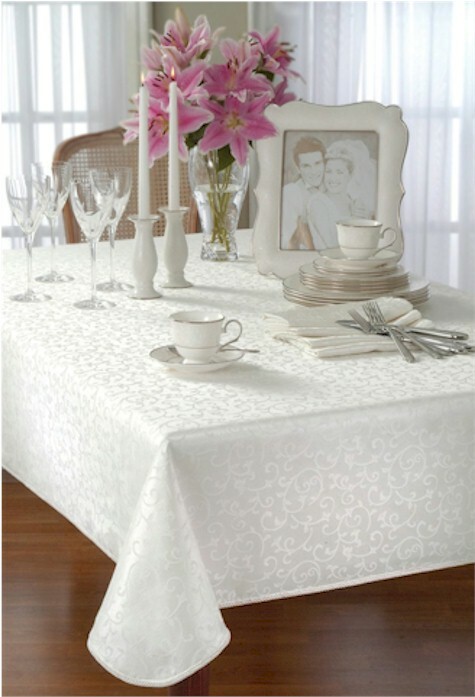 Lenox does a beautiful job on their table linens; the few that I own are among the finest I have in the linen closet.